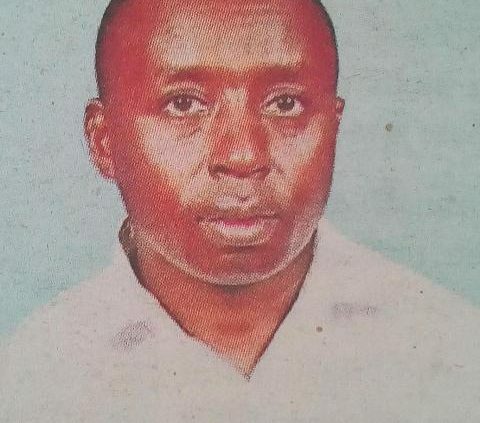 It is with deep sorrow that we announce the passing on of Fredrick Kipyegon Ronoh Molel on Tuesday 9th April 20 19. Husband to Janet Mutai Rono of Kenya Airways. Adoring father of Allan Kiprotich of Acacia Crest Academy. Son of Rev. Andrew Molel and Mrs Sally Molel of Chemoiwa Village, Kericho County. Brother of late Edward, Daisy, Stephen, Wellington, Weldon, Benjamin, Ruth, Late David and Lily. Son-in-law of Joel and Alice Mutai of Chelilis Village, Kericho County. Nephew, cousin, uncle, brother-in-law of many. 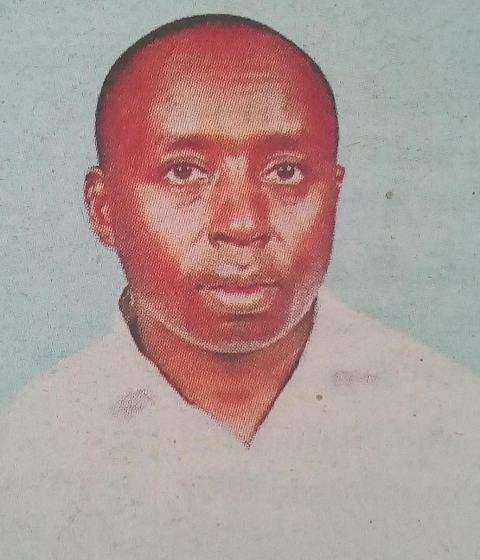 Friends and relatives are meeting daily at his Kitengela residence (Chuna Estate) and at home Chemoiwa village Kericho County for prayers and Funeral arrangements. There will a be fund raising on Monday 15/4/2019 in Maasai Discovery Resort, Kitengela starting at 5.30PM and Chemoiwa home starting at 3pm in aid of the funeral arrangements. Cortege leaves Shalom Funeral Home, Athi River to International Christian Centre (ICC) Kitengela on Tuesday 16th April 2019 for a Funeral Service at 2.30pm. The cortege will leave for Chemoiwa Village, Chemosot Location, Kericho County on Wednesday morning 17th April 2019 for an overnight stay. Burial will be held on Thursday 18th April 2019 at Chemoiwa Village starting at 10am. 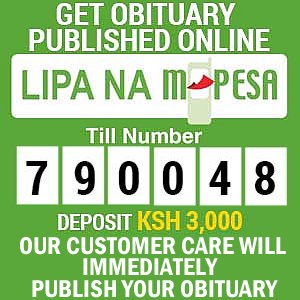 Contributions may be sent to MPESA 0721947395 (Lily Molel). May His soul rest in eternal peace. In God’s hands you rest, in our hearts you live forever.